Design-thinking principles, student-centered learning, and a maker culture: fostering positive mindsets in math and STEM fields. Ours is a learning environment that is grounded in the understanding of the process of learning. We've studied what kids need in order to learn -and especially to learn math- and we've built a space that responds to kids' needs and matches our pedagogical beliefs. It's radically different than most classrooms, so it is hard for us to even use that word, "classroom." What's different? Everything moves. There are no chairs. And we write on the walls (among other things). The "classroom" belongs to the kids and it is flexible, creative, and transparent. We wanted to inspire change and flexibility, so we put everything on wheels. The kids rearrange the room set-up depending on the purpose of our activity. The lab encourages the activity kids need, instead of trying to inhibit and control it. Why do kids spend so much time in chairs in schools? A creative intellectual environment is not created by chairs and it certainly is not a place kids sit all day. We want our kids to get up and try the math and we want groups to huddle around tables and boards. We want our kids to share their work with one another so we made the walls writable. We wanted the environment to amplify their ideas, to bring excitement to the written expression of their thoughts, and the thinking of our kids to be central to the lab's culture. 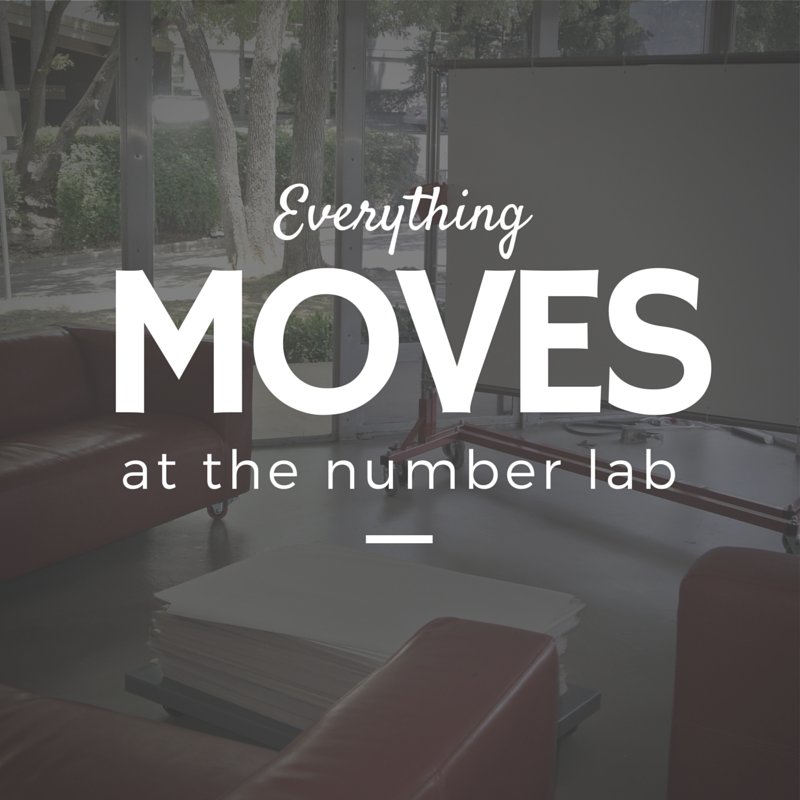 It takes less than an hour for every child who works in the number lab to ask the question: Why doesn't every classroom look and feel like this? There is no going back to a classroom that is stationary, one that is filled with heavy desks and tables that communicate that learning means sitting still, or one that is filled with writing surfaces that box your thinking into 8 1/2 x 11 inches. The classroom that children deserve is agile, user-driven, untethered, interactive, and collaborative.